I still have so many comics to read! Why does February have to be so short? Well I’ll just have to read it in Comics March then. (Not actually an event, I just made it up). Shigeru Mizuki is a very well-known comic book writer or mangaka in Japan. He’s known for his yokai stories, supernatural monsters in Japanese folklore. Well I didn’t know any of that. I just knew that I had to get my hands on it, thanks to this post!! And I was only slightly intimidated by the size of these two books. Yup, they are big and fat and discuss history, but they were a quick read. What was amazing though was that I think I learnt more about the Pacific War (as in the theatre of WWII that was fought in Asia and the Pacific) than I learnt in school in Singapore (which in case you didn’t know, was one of the countries that the Japanese occupied). The second book focuses on the war – Mizuki was drafted into the army and sent to Papua New Guinea. At first I worried that it would have a skewed version of Japan’s role in the war but I was surprised, it was honest, it is well-researched, and it is also very personal. It is truly amazing that he survived the war. He was very naive and rather oblivious to the fact that he was in a war! I kind of wish I had read this book while learning about WWII in Asia, it would have made it a far less dry lesson! Showa is at times humorous, at times sobering and sad. It showcases the best of comics. This is the first time I’ve ever read a webcomic from start to finish in a day. That makes me sound like I know a lot about webcomics. I really don’t. I’ve browsed through some but have never really read any fully. Here’s the link to Nimona or you can wait for it to come out in book form later this year. In May I believe. Nimona was SO FUN! And I don’t really like to use CAPS so please believe me already. Awesome characters. Hair swoops. Shapeshifting. Medieval Skype. If his name sounds familiar it might be because you’ve read that classic picture book The Snowman. 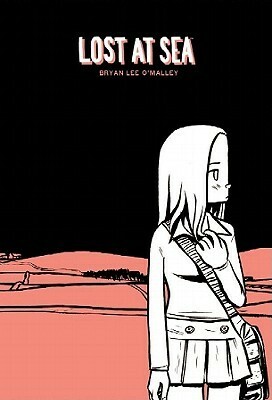 This was one of the sweetest and saddest comics I read this month. Or ever really. It tells the story of Briggs’ parents’ relationship. Him a milkman, she a lady’s maid. And they get married and start their own family. And the years pass – and we catch glimpses of the world around them as they live in their house in London, through the war, through the advent of TV, raising their son, as the decades pass. And also hilarious. Especially their discussions about politics and the rest of the world. 60 years in 700 pages. I would count that as epic, but I just read Showa books one and two (see above) which explore 7 years in 560 pages in one and 5 years in 536 pages in another. These are very different books, very different lives. I think I am more fond of Mizuki’s illustrative style and narration. It’s always difficult reading a memoir of life in China under Mao. The things people did, even as young children (see above). Li details the changing times, the hardships they go through. It has its bittersweet moments, and some rather sweet ones too. Ah where was this comic when I was a teen? Raleigh is on a road trip with some kids from school, kids she doesn’t really know and they’re very different from her, so how did they end up in the same car? I wasn’t sure that I would like her at the beginning. Kinda weird (she thinks a cat stole her soul), aloof, a bit melodramatic. But then deep down inside I knew I was a little like her as a teen (and probably still am) – terrified of talking to other people, running a dialogue in her own head, always worried about others’ impressions of her. Here are my previous Comics February posts! Do you know how sad it made me to read the “the end” in your post title? So glad to hear what you had to say about the second volume of Showa, because I admit to having a bit of that same fear. But at the same time, he didn’t try to downplay the atrocities committed in China before the war, so I was hopeful. I have the second and third volumes out from the library and definitely plan to read them. In fact, if I love them as much as the first, I’m sure I’ll end up buying them eventually. I’ll have to look for Nimona. I’ll be reading more graphic novels in March too.